However, don’t be fooled by Byron Bay’s seemingly laidback cultural façade. It might just be a small town but it is packed with amazing activities and spots that will definitely take your breath away. It’s more than your usual destination. It’s not just a place; it’s a counter-cultural experience, and that’s what makes Byron Bay amazing. When you find yourself in Byron Bay, there are just so many things that you shouldn’t miss, so we’ve decided to present you five of the best ways you can enjoy Australia’s haute-boho capital. 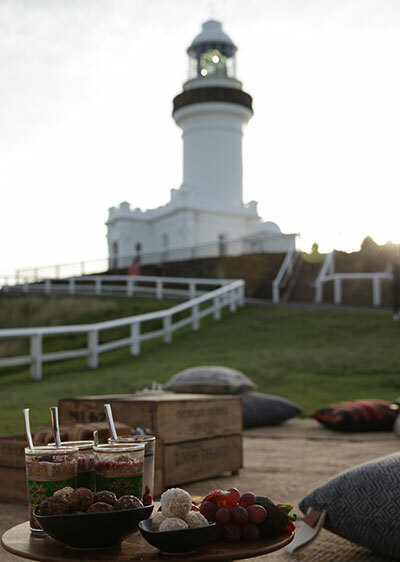 Start your day by heading off to Cape Byron Lighthouse to watch one of the most spectacular sunrises in Australia. Being Australia’s most easterly point, the lighthouse allows you front row seats to be the first in the country to witness the magical dawning of a new day. Better yet try out Wild Goat Events to do it in style! Byron Bay does not (and will not) disappoint you. Its beaches are breathtaking, with squeaky white sand and crystal clear water, there are so many things you can do to satisfy your adventurous spirits desire. Go surfing at The Pass, Wategos or The Wreck, all popular among locals and tourists. Or snorkel and dive to catch a glimpse of the abundance of underwater marine life at Julian Rocks. Go kayaking with Go Sea Kayaks, or pass the time lying on the sand, enjoying beach bliss. 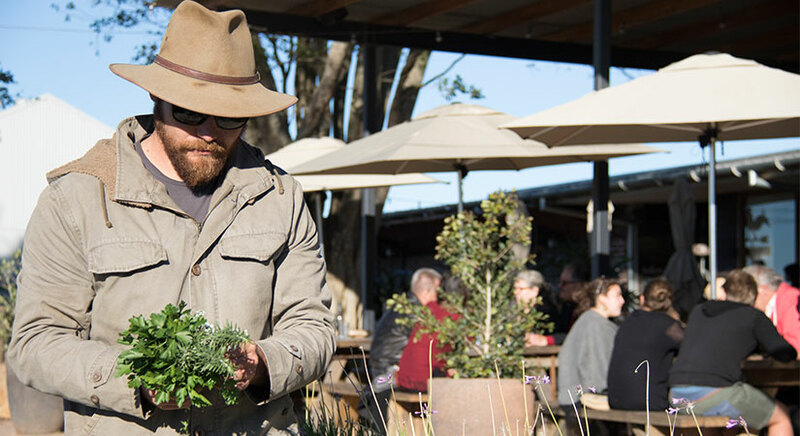 Learn and love your food at the Farm Byron Bay. A real working farm with a collective of boutique businesses, specializing in farm to fork cuisine, you’ll get to experience farm life at its best. Stroll through its vast expanse, interact with the animals and learn about sustainable living. It’s a worthwhile experience. The Farm Byron Bay will leave you with a desire to live a more harmonious and healthier lifestyle, a unique experience that you can’t get anywhere else. Byron Bay might appear like a sleepy town at the edge of Australia, but the nightlife here is always alive. If you’re looking to have a some serious fun, then you’re in the right place! Popular among diners is Miss Margaritas, offering up Mexican inspired food, drinks and ambience. 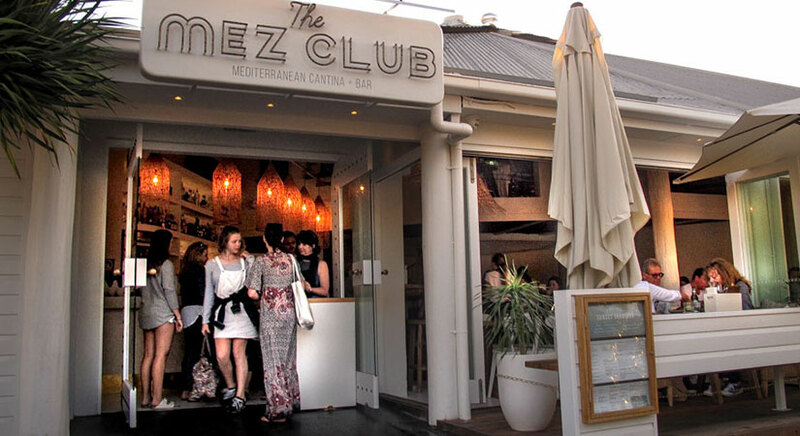 You can also check out the Mez Club, serving up inspiration from Morocco to Greece, and finally, if you’re looking for some fine tappers dining, head to St. Elmo’s. Specializing in share plates that you can devour with your close pals! Being an artistic town, Byron Bay prides itself in celebrating the beauties of life: music and the arts. 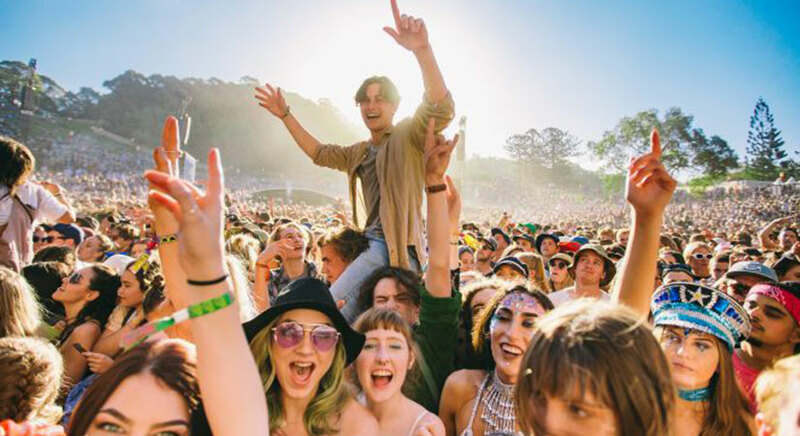 It is home to two of the countries best festivals; Byron Bay Bluesfest and Splendour in the Grass, which bring massive crowds every single time. There is nothing laid back about these annual occasions, be sure to bring your outfit and dancing shoes to survive these multi night events! There is just more thing you can not miss. Don’t forget to stop by Yoflo. It’s an experience. It’s creative. It’s fun. It’s delicious. It celebrates the sun, the beach, the music and the arts all in a cup of froyo! 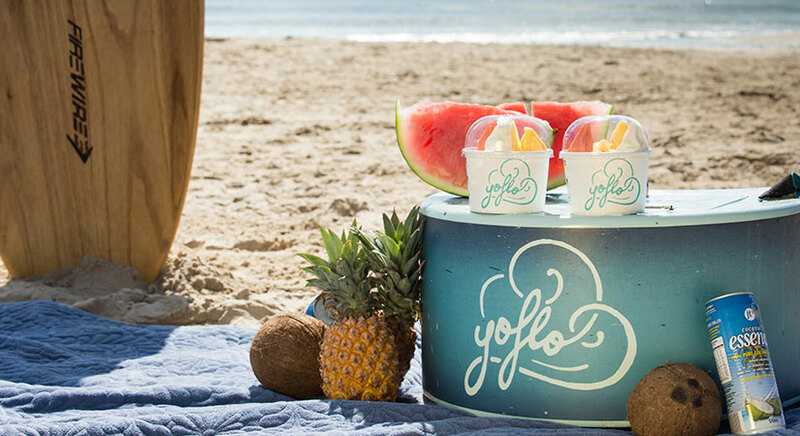 Yoflo is happiness in a cup that celebrates everything Byron Bay. Byron Bay is eager to meet you.